Long time, no blog! My three-month hiatus from blogging was brought about by a big and busy transcontinental trip across the United States of America from September 15 to January 7. Here’s a rundown of what I did and where I went during my 113 days in America, as I sort out the grandest trip I’ve taken so far into blogable, bite-size entries in the coming months. I was sent by a health organization to work as a marketing communications consultant in New York City for two months. During weekends, I took side trips to Boston, Washington DC, Niagara Fallsand Pittsburg (where I escaped the wrath of Hurricane Sandy as it devastated the East Coast in early November). I also spent a week in Columbus, Ohiofor a research project I was working on. 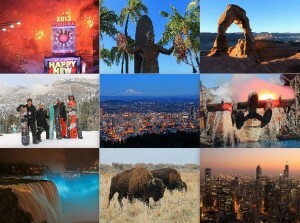 After working in the Big Apple, I embarked on a cross-country trip to the West Coast, reconnecting with old friends along the way from Chicago to Omaha to Denver to Phoenix to Las Vegas. The Southwest was one of my favorite places in America where enjoyed scenic road trips to national parks like the Grand Canyon in Arizona, Arches in Moab, Utah and White Sands in Alamogordo, New Mexico. I spent Christmas with family and friends in San Diego, Los Angeles and San Francisco. In Las Vegas, Nevada and Big Bear Lake, California I experienced by first thick snowfall, and learned to snowboard! I was surprised to find snow in Las Vegas, which I’ve only long associated with the desert. After California, I detoured to the Pacific Northwest to check out Portland, Oregon and Seattle, Washington before flying all the way back to New York City for New Year’s. On my flight back to Manila, I enjoyed a 20-hour layover in my 22nd and last state: Hawaii. Despite my very short visit, Honolulu was definitely one of the highlights of the trip, a fitting piece de resistance that renewed my desire to visit the US after an overwhelming and incredible journey. I am such an EAZY fan! Ang saya ng mga adventures mo. Eye popping! 🙂 Keep ’em coming! Thanks so much for the support Edmar! finally! hehe iniintay ko talaga ang blog about your 3 months US trip. wow! 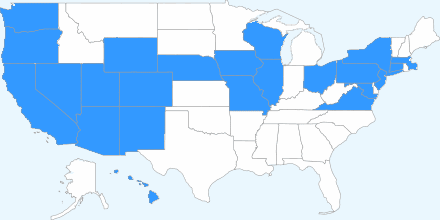 22 states almost half na ng USA yun ah! I am amazed that you covered so much of ‘tate in the limited free time that you had. Good for you! I hope you come back and see more of what ‘tate has to offer. There’s a lot, lot more!